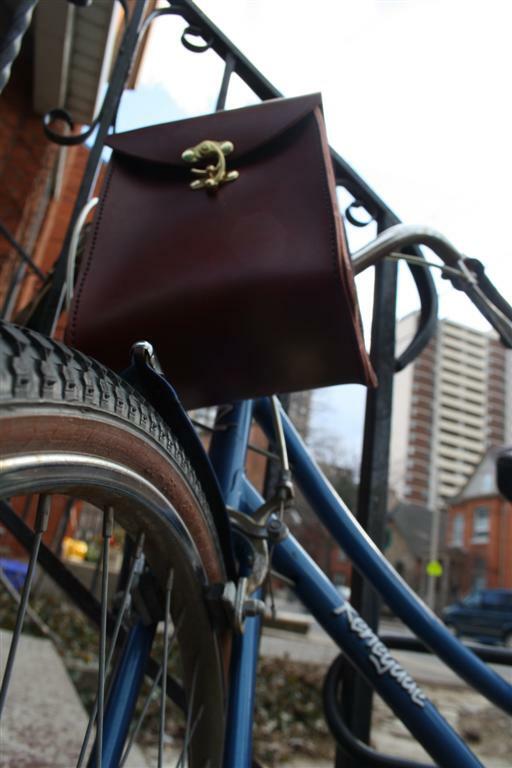 Downtown Bike Hounds opened in its new location (19 John Street North) yesterday and I must say, all bias aside, it looks amazing. If you spent any time in the old shop, you will be blown away by the amount of space and by the number of people able to stand inside at one time. It’s huge. In addition to a physical upgrade, it’s getting a technical makeover including a debit machine, fancy security systems and swipe-able gift cards. It’s also carrying (as of yesterday) beautiful and affordable Linus bikes. They’re so sleek! 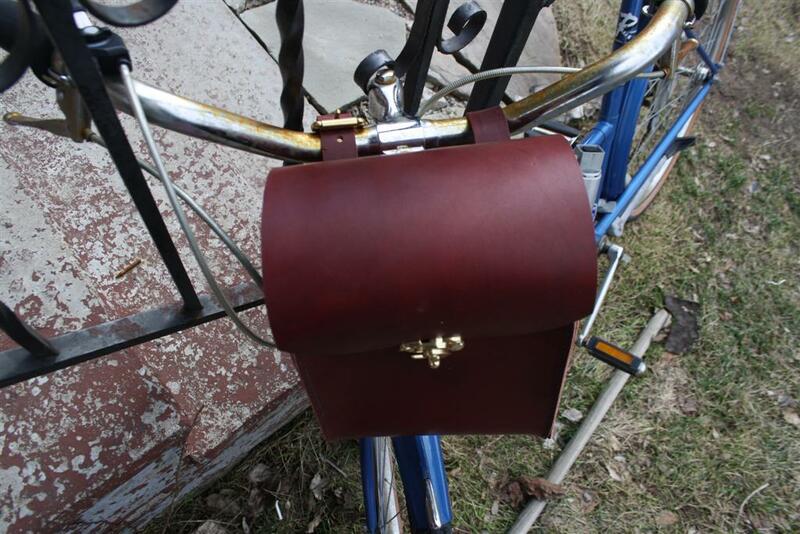 And you know what would complement their leather handlebar grips nicely? 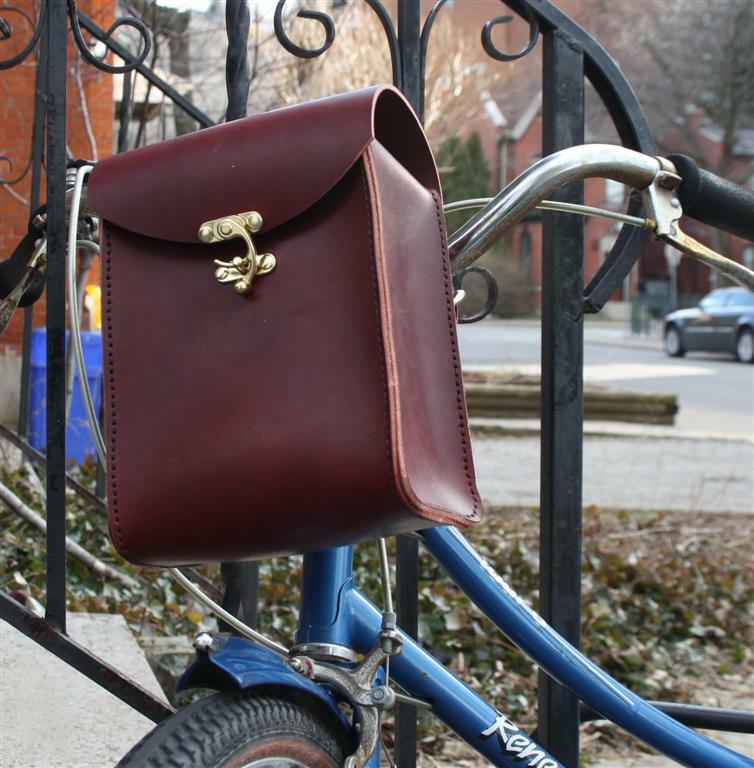 A leather handlebar bag. 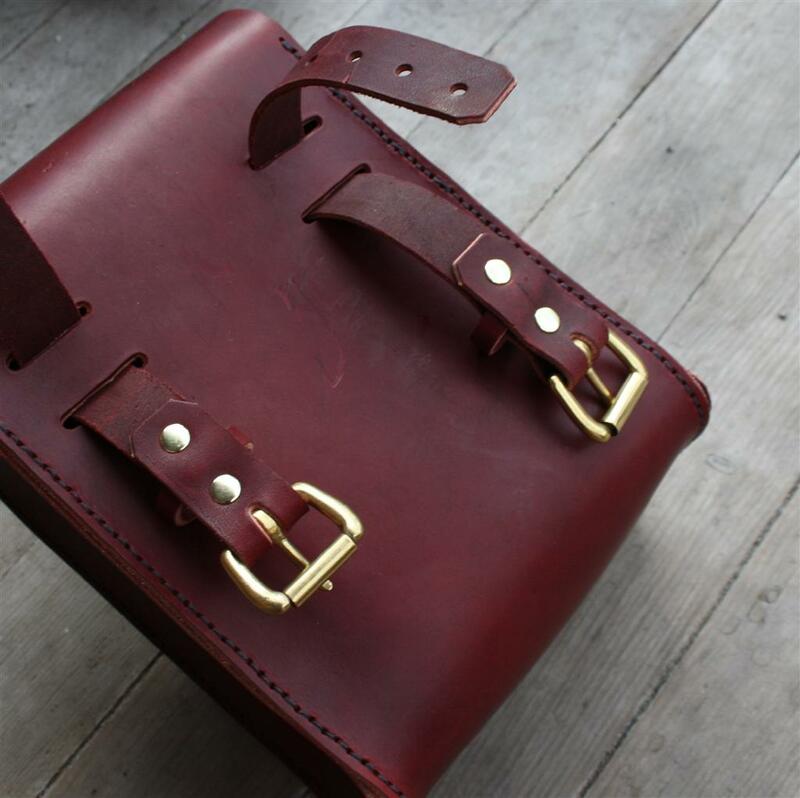 This particular bag is a custom order, but I’m going to be working on some for the shop in the coming weeks. Spring’s here! Get your bike in line for a tune-up before it’s too late and you have to sit on a waiting list!